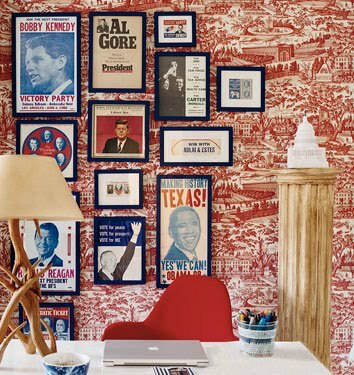 Patriotic home decor is always in style in our book. But it seems we’re seeing red, white and blue everywhere lately. 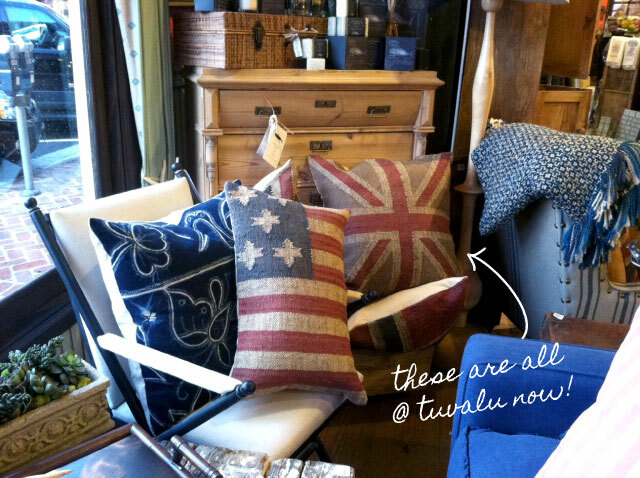 Our new American and Union Jack flag pillows just arrived and people are gobbling them up! 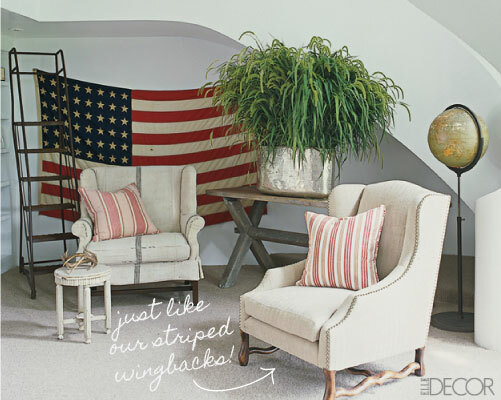 Pillows aren’t the only way to get the Americana look in your home. 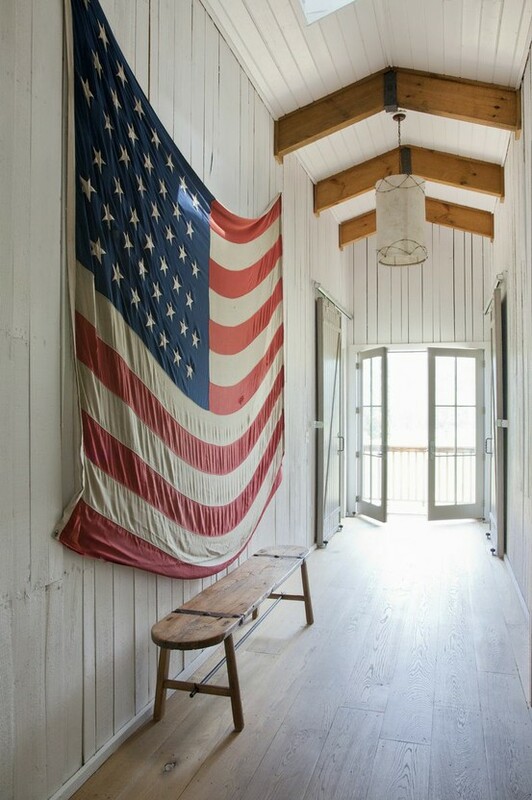 Take some style hints from these lovely photos and stay true to the red, white and blue! 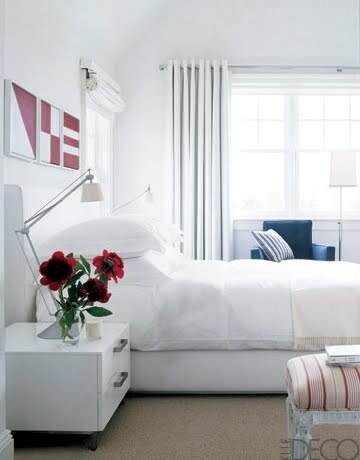 Nautical flags add a unique coastal touch. Did you know each flag represents a letter or number? Try your initials for a subtle monogram in your bedroom! Or stick to a red, white and blue color scheme. These vintage election flyers add a graphic punch without being too kitchy. Oh I love that first photo. So crisp. I’d love to see this classy Independence Day decor this year!